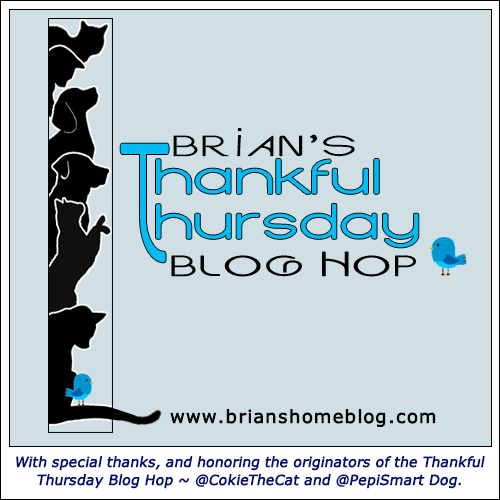 Welcome to our Thankful Thursday Blog Hop. We always love sharing things were thankful for and we sure enjoy hearing from you as well. I know I’ve mentioned several times the many ways in which we like to keep warm here. I’ve been loving the fireplace and some of my sisters love to snuggle in the blankies on the big bed. Sister Seal likes to bury herself under the bedspread at the foot of the bed. Brother Simon? I’m not sure he gets too cold but he does sometimes curl up under the accessibility stairs by the big bed. We’re plenty smart when it comes to keeping warm. Today though I’m thankful for the ferals who are wise enough to try to keep warm when the big chill arrives, and it’s been below freezing at night in our neck of the woods. We have two feral houses and it’s wonderful to see the ferals using them. The Dad smiles when he takes their breakfast out and they pop out of the houses to get their early morning meal. The younger ferals seem to make more use of the houses than do the older ferals. I guess the older ones have their preselected hidey places to keep warm. Actually we have a big doggy igloo for them out back too and the Dad has another house that has yet to be built, but they will have it soon. Oh, the funny part is that one of the houses is close to the sliding glass door in the dining room and one of the kitties peeks out and looks like he is playing hide and go seek with Sister Seal when she is looking out the door. 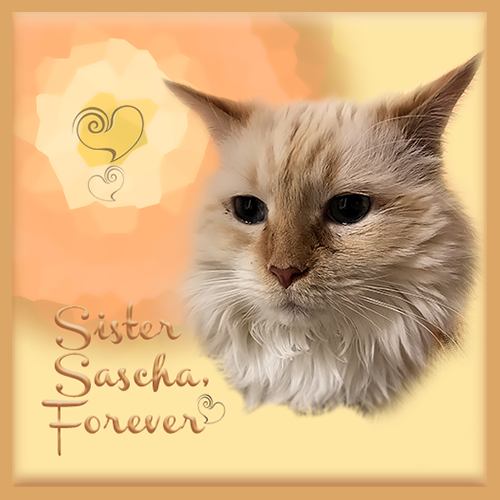 We’re thankful to be able to provide some warm shelter for our feral family. They are like family and we always do what we can for them. What are you thankful for today? Tell me in the comments and then hop on in on the Blog Hop! It is very cold here today and warmth is in short supply. We always try to keep a body part connected to a human to keep us warm. 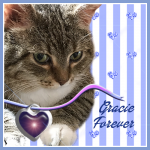 God Bless you for sure….you take amazing care of your ferals. Love that cozy photo too. 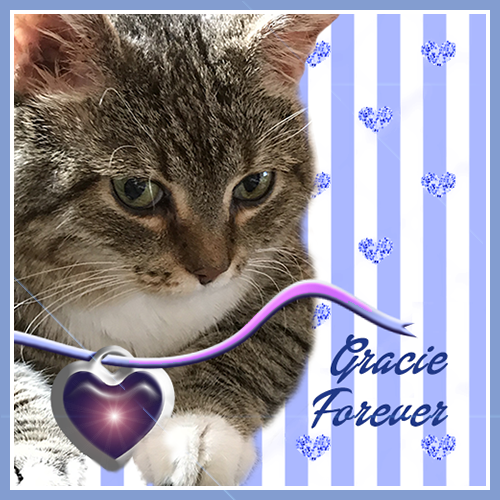 We are grateful to be warm (we have a snowstorm outside, about 8 inches total)……..and we got our Secret Paws today and are soooo grateful! I’m thankful that you and your dad take such good care of the ferals. Everyone should be like you. Dear Brian, I am thankful that I have a wonderful home and Mom here Canada and that I am not a feral on the streets of Tehran. I am thankful that you guys take such good care of your ferals and I am thankful that we can donate to the local feed the feral program! We’re thankful for our family, our home and love. And we are super grateful for you, dear friends, and all you do to care for so many. Brrr, we hate the cold. Those ferals are fortunate. We’re sure your dad takes very good care of them in all weather. I am thankful for people like your folks that provide much needed shelter to the ferals and food too. Your human takes such good care of the ferals. I bet you are really proud of him, Brian. It’s great when there are enough warm spots for everybody! including the ferals! It is wonderful of you to provide shelter for your ferals. We did the same when we had our much-missed Trav. We are lucky to live in lovely warm houses. Having lots of blankets to go under is a win any day. Great that the ferals use all you provide to keep warm too. Hi Brian, I am thankful there are people like your humans who take care the feral kitties!! You look awful comfy there!! Life is good! We’re thankful that you are keeping the feral kitties warm! We are so thankful that you take such good care of the feral cats. We just know that they so appreciate those great houses and good food in all this cold weather. So many thanks to Terry and family. It has gotten quite cold here. Your picture is heartwarming. Hugs. I am so glad that you all, including the ferals, have ways to stay warm. You and your siblings have a wonderful life, Brian! I am thankful for you. So much to be thankful for for you insiders and the ferals! Those kitties are lucky you provide some shelter for them and I bet Seal is real good at communicating with them through the window. 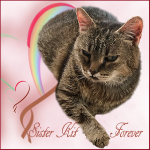 We are thankful those feral kitties have your family t help keep them safe and warm! What wonderful care and compassion you show the ferals. They are so very lucky to have you. We are thankful for the kindness you show to all creatures! We’re glad you’re able to help feral cats. We have in the past but now one of our dogs scares them away. We know those ferals are very thankful for for all you peeps do for them. I’m grateful to know so many people who care about the welfare of cats – whether I volunteer with you at a shelter, or meet you through blogs; Thank you! 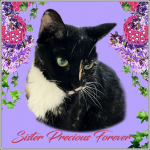 We are grateful that you and your family spread your love outdoors to the ferals. We loved the hide-and-seek story!! We too are so very thankful that we have friends like you in our lives who are so kind and caring and give such wonderful help to the ferals. Bless you. The lady across the street puts out pet carriers with blankets in them for the feral cats in the neighborhood. She puts out food for them as well. Right now she has 3 that come and snuggle in the blankets and eat the food. I am thankful that you take such good care of the ferals. I am also very thankful for good scan results! It’s wonderful that you all have your places to stay warm and cozy, and that you help the ferals to try to find places too. We’re thankful that you take such good care of your feral kitties. I am happy thankful that Ii am not a feral any longer and that kind anthros like you have provided shelter for the many ferals who are not able to find homes, warmth and snuggles. Thank you, Brian. We loved the idea that you have ferals who shelter in your outside huts and pop out when you bring them food. The seem close to being adoptable. Brian, we are so ever thankful that your family looks after the ferals and gets to feed them. Did you know that in our neck of the woods you can got to jail fur feeding stray cats? Am thats just the saddest thing? and thanks fur purring fur my journey tomorrow. Now Katie Mom haz to gets some sleeps. Today we are thankful fur all the pawesome peeps in the wurld, just like mew **SO PAWESOME**, that do so much fur kitty community! You sure do look comfy in that photo. I’m sure the ferals are glad they have places where they can take shelter. Yur Pawentss are THEE BEST Brian an mee iss fankfull to them fur helpin thee feralss effury day! An mee iss fankfull that wee are furendss. An mee iss fankfull her Speshellist gave her thee Lidocaine innjecktionss! Shee iss feelin much less pain! WOO HOO! 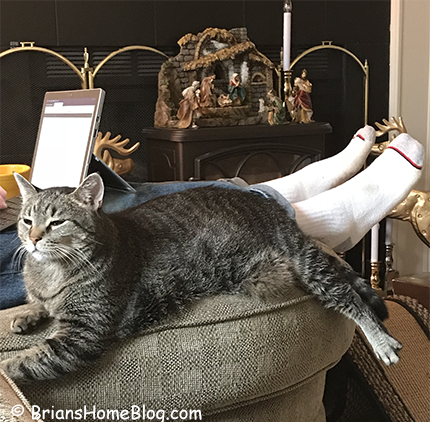 Brian, looks like you are thankful to have your hoomin’s legs to cozy up to! We have a couple insulated shelters for our Friendly Ferals, The ‘O’ Cats, and they get fresh water twice a day (it freezes solid) and plenty of kibble too. I try to get some wet food out to them, when the sun is high in the afternoon and the wet food doesn’t freeze.